Ah. 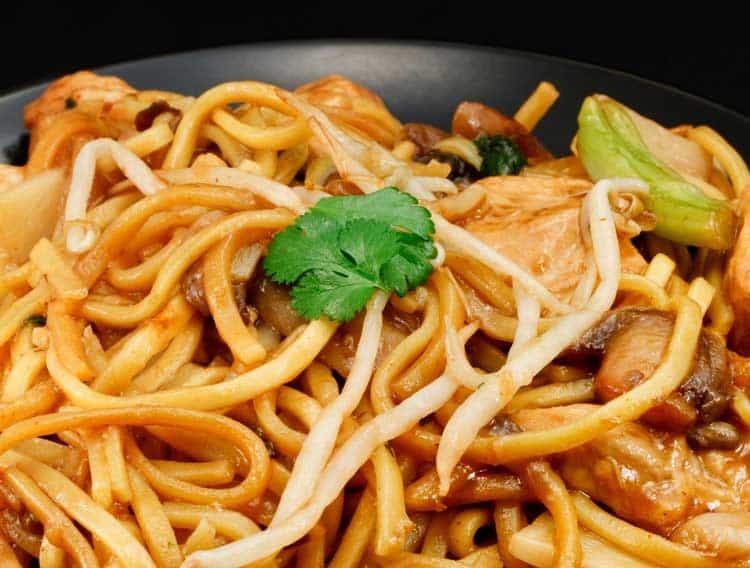 There’s nothing like a good traditional chow mein recipe. 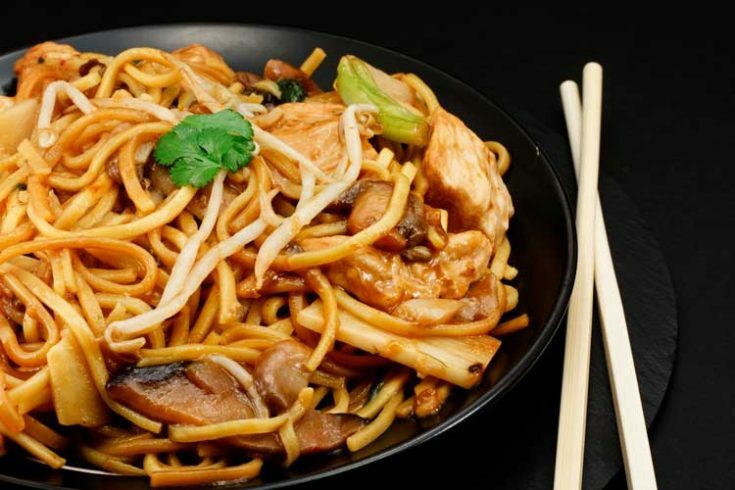 If you like Chinese food, you’ll love this Copycat Panda Express Chow Mein recipe we’ve got for you below. Easy Chinese recipes are some of my favorite to whip up at home. Some of my favorites are Gluten Free Chicken Fried Rice, Sweet and Sour Chicken, and these Ten Easy Stir Fry Recipes. They’re all so flavorful and since they are easy to make, dinner can be on the table pretty quickly. When you’re super busy, timely meal prep is always appreciated. Best Chinese Recipes are Easy to Make. Sometimes that craving for really good Chinese food hits you at the most inopportune moments. But that’s okay because you can now make your own right at home whenever you like, and if you have a wok, that makes it even easier. These noodles are absolute perfection. They are simple to make, savory, and addictive. To make it a meal, simply add shrimp, chicken, or tofu. We threw in some chicken and Chinese vegetables to add some extra yum to this dish, but you can mix in whatever you want. That’s the best thing about this recipe for chow mein noodles…you can go crazy with whatever you’d like to add in. We love making copycat recipes, and have made our share of them, like Copycat Olive Garden Zuppa Toscana Soup Recipe and Copycat Bubba Gump Popcorn Shrimp. Making recipes at home that are some of my favorites to eat while dining out is an economical way to enjoy those recipes without the cost of dining out. Because let’s face it, when you have a family of four with adult appetites, saving money on restaurant meals is a great way to save. Simple and easy Panda Express Chow Mein is a delicious and easy to make Chinese noodles right at home. This copycat recipe is one you'll want to make again and again. Prepare the chow mein noodles according to package instructions. Set aside. Combine brown sugar, soy, garlic and ginger, salt and pepper in a small bowl. Set aside. Heat oil in a wok or skillet over medium heat. Saute the onion and celery for a few minutes, until soft. Then the cabbage and continue to saute until tender. Finally, add the cooked noodles and soy sauce mixture, tossing constantly until heated through and serve. Adapted from Eat Cake for Dinner. Just checked and the recipe is there if you’d like to try this Panda Express Chow Mein again.